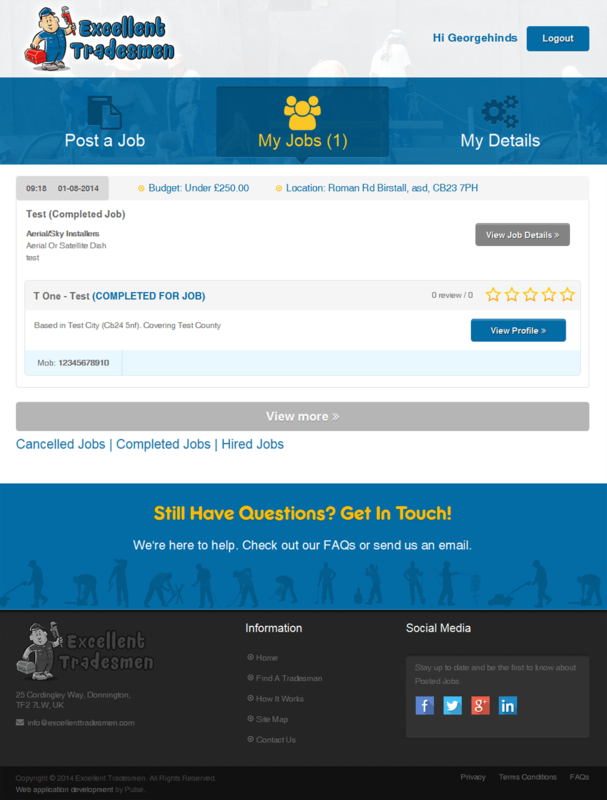 Excellent Tradesmen is a unique concept where tradesmen sign up to go into a directory that is rated by industry specialists so customers get an unbiased review about their services. The service has made it simple and easy to find professional tradesmen without the days of hunting and checking reviews which could be fake. The software was built with open source technologies to manage millions of providers and thousands of users coming in daily via marketing campaigns throughout the United Kingdom, the site offers a clean and easy interface which works on cell phones, tablets and all popular browsers seamlessly. 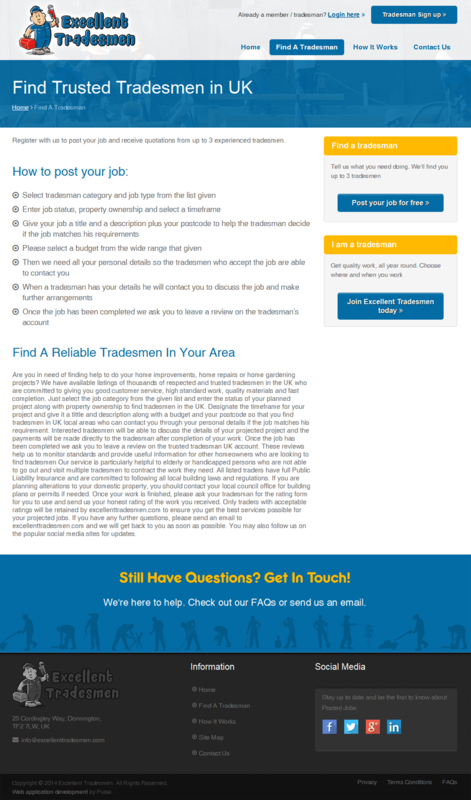 A directory site is only as good as the search function and the matching engine, Pulse engineers wrote an algorithm to match customers with tradesmen computing over 25 variables to find the best match.